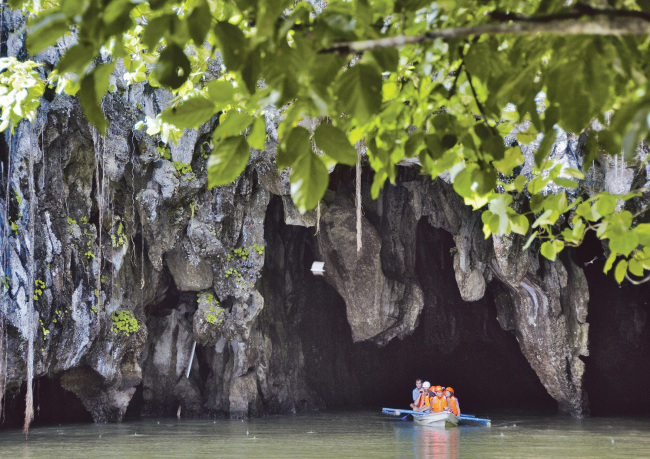 The ASEAN-Korea Center organized a tourism capacity-building workshop in the Philippines’ archipelagic province of Palawan on Friday, gathering industry experts to discuss raising tourism competitiveness of the region replete with rare natural reserves. Some 100 Filipino and Korean professionals from both public and private sectors participated in the event held in the popular tourist region, home to pristine natural attractions, national parks as well as vibrant flora and fauna. They discussed marketing strategies that use information technology platforms, developing programs with UNESCO natural heritage and establishing accommodation facilities, among other topics. Lectures, panel discussions and one-on-one business networking sessions also took place, following participants’ tour of Palawan’s main destinations, where they provided on-the-ground consulting. “I hope that through this workshop, which will introduce Korea’s tourism market and trends, various tailored services and packages will be developed for Korean tourists, and Palawan would become an even more attractive destination,” said ASEAN-Korea Center Secretary-General Lee Hyuk, a former Korean ambassador to Vietnam and the Philippines. On the back of a recently launched direct flight between Incheon and Palawan, the number of Korean tourists to the province has increased steadily, according to Philippine Tourism’s Korea Office in Seoul. The province has extensive natural heritage and biodiversity. Forests, including mangrove forests, cover more than half of the province’s land. There are 11,000 square kilometers of coral reefs underneath the surrounding seas, representing more than 35 percent of the Philippines’ coral reefs. The air resonates with the sound of more than 200 different species of birds that inhabit forests and grasslands; over 600 kinds of butterflies can be found in the mountains and fields, attracted by 1,500 varieties of plants; and sea turtles nest on its white sand beaches. Palawan was rated as the best island destination in East and Southeast Asia in 2007 by the National Geographic Traveler magazine. Renowned underwater explorer Jacques Cousteau said Palawan has one of the most beautiful seascapes in the world, while Caril Ridley, founder of the Palawan Environmental and Marine Studies Center, said the region has potential to be a leading host for Asia’s growing economic and environmental conference events.